June 3, 2011- Johnson Valley, CA : Just when you thought King of the Hammers couldn’t get any more epic: Dave Cole of HammerKing Productions officially announces there will be a new race at the 2012 King of The Hammers. This race is being called The Every Man Challenge at King of The Hammers and for the first time ever, will allow off-road enthusiasts a chance to race their stock and modified stock vehicles in the toughest one day off-road race on the planet. For those that have been watching King of The Hammers, wondering how their own off-road vehicle compares to the Ultra4 cars competing in this race; this is a chance to find out. King of The Hammers is a week-long event that takes place in Johnson Valley, CA every February with the official King of The Hammers race occurring on Friday, February 10, 2012. The stock and modified stock race known as the Every Man Challenge (EMC) will be taking place on Monday, February 6, 2012. While the course will not be the entire King of The Hammers course, you can be sure it will contain all of the same elements as the main race. Not only that, but the winners of The EMC, both the stock and modified stock class will also win a chance to compete in the main event on Friday and race their vehicles along-side the professional unlimited 4-Wheel drive class known as Ultra4. For those wishing to learn more aboutKing of the Hammers or follow the 2011 Ultra4 series, be sure to check out Ultra4 racing’s web site:www.ultra4racing.com and become a fan of the Ultra4 facebook page: www.facebook.com/Ultra4racing. 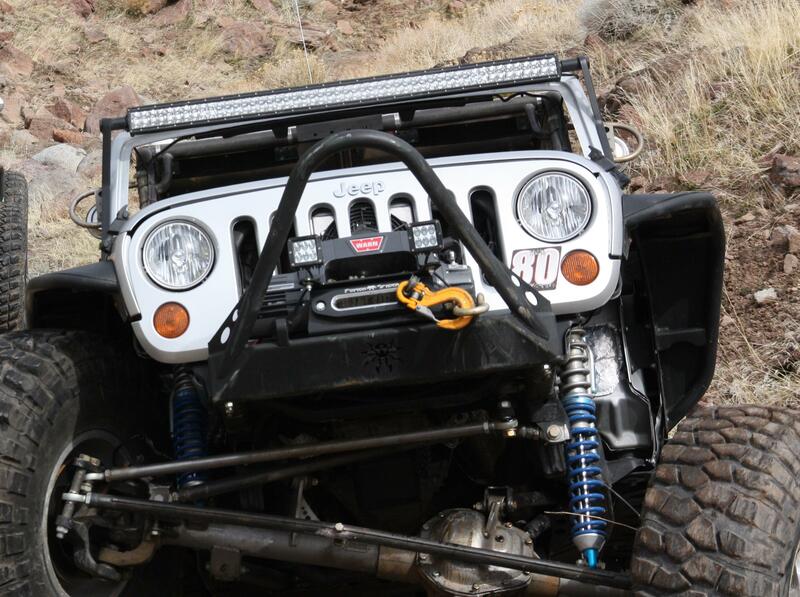 The next Ultra4 Series race will be held July 16th at the Miller Motorsports Park in Tooele, UT.